Buy online Presto Washington Cherry 8 mm Thick x 7-5/8 in. Wide x 47-5/8 in. Length Laminate Flooring (20.17 sq. ft. / case) LF000496 and leave review or share with Your friends. 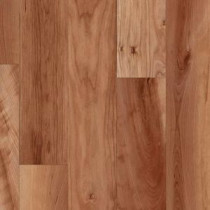 Presto Washington Cherry is a beautiful, worry-free floor that's easy to install. Featuring Pergo's patented surface protection that minimizes scratches and dulling. Pergo Presto is warranted against wear, staining and fading for 30 years. Each plank is 8 mm Thick x 7-5/8 in. wide x 47-5/8 in. length. 20.17 sq. ft. per case. Case quantity: 8. Case weight: 29.97 lb.